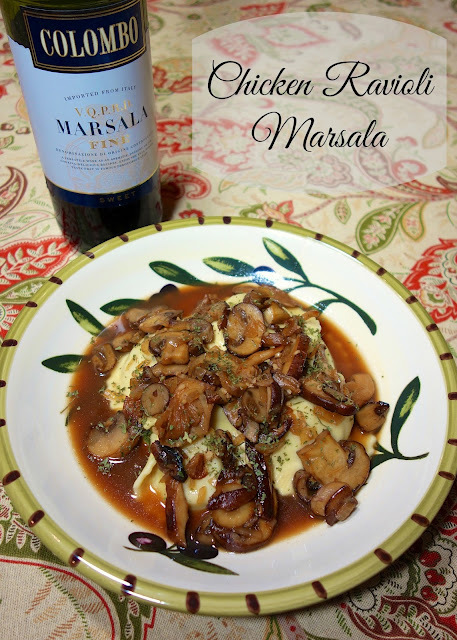 I was recently asked to create a recipe using Colombo wine for their 12 Days of Marsala Recipe Challenge. I decided to put my twist on Chicken Marsala and make a Chicken Ravioli Marsala. 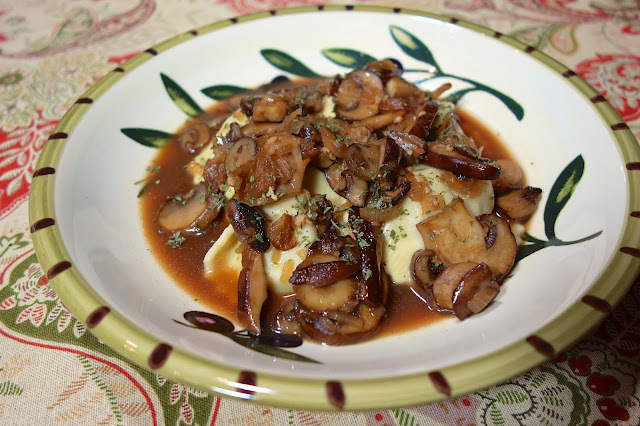 I used store-bought chicken and mozzarella ravioli and whipped up a wild mushroom marsala sauce. This was so simple and tasted like something you would eat in a restaurant. The hardest part of this recipe was waiting on the sauce to reduce. Cook ravioli according to package directions. Drain and set aside. Melt 3 tablespoons of butter in a medium skillet over high heat; add mushrooms and shallots. Sauté 10 minutes or until mushrooms are browned and liquid is evaporated. Add garlic to skillet; sauté 30-60 seconds. Stir in Marsala and chicken broth, stirring to loosen any browned bits from bottom of skillet. Bring to a boil. Cook 20 minutes or until reduced by two-thirds. Remove from heat; stir in remaining 1 tablespoon butter . Add the cooked ravioli to the pan and coat with the marsala and mushroom sauce. Serve immediately. I got that message to, in Chrome. I logged off Chrome and signed in with Explorer. I was able to vote! Voted for the Chicken Marsala + Ravioli hands down. I love Chicken and Veal Marsala. Thank you for the recipe! Yes, this BAMA fan voted for you. I love your recipes and the kitties. Couldn't leave a comment on the Colombo site. This looks AMAZING!!! Definitely making this our next 'date night in'. Just voted for you!